So I have been playing catch up watching Ask a Mortician on YouTube HERE. I cannot suggest her loudly enough. There is great merit to facing death and the resulting activities now. Zander has started watching some of the videos with me, Caitlyn Doughty and her crew cover topics with such great respect and research. Seriously… give her a try. 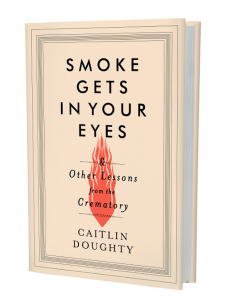 She is entertaining, humorous and a great educator on all things death, dying and how we deal with the physical body left behind. Anyway, a few of her episodes she suggested multiple books and I ran out to the library and requested the ones I could get my hands on. 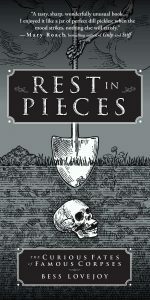 First to review, Rest in Pieces by Bess Lovejoy. 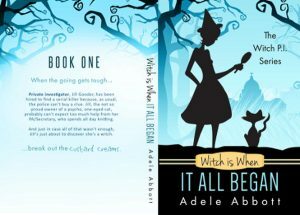 She covers all sorts of people from all over the world from a huge span of time. Curious about the fate of Lord Byron? The full story of Eva Peron, whose corpse could have used a passport? What about the unsolved mystery of Edgar Allen Poe’s final resting place? 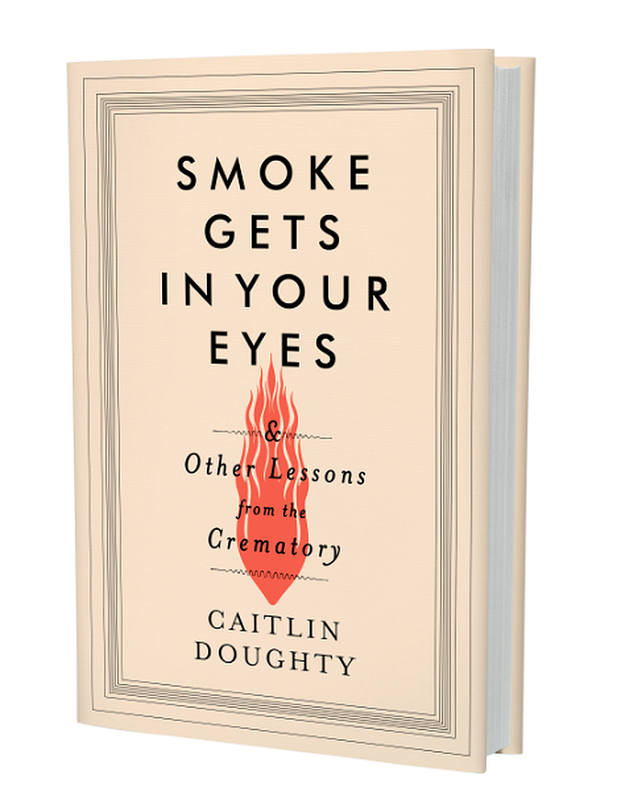 This book discusses some of history ‘s most interesting death rituals for dealing with the remains of love one. What do we do with the body once the consciousness is truly gone? Were the last requests honored? This was a real page turner. Well researched, well written and beyond interesting. 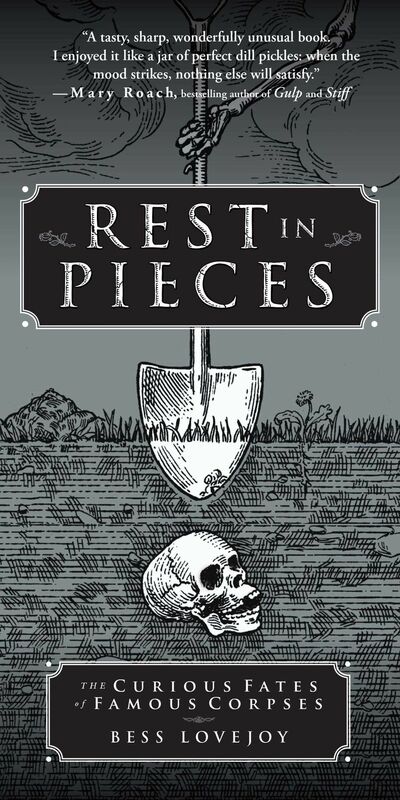 I would greatly recommend Rest in Pieces for the adult reader.